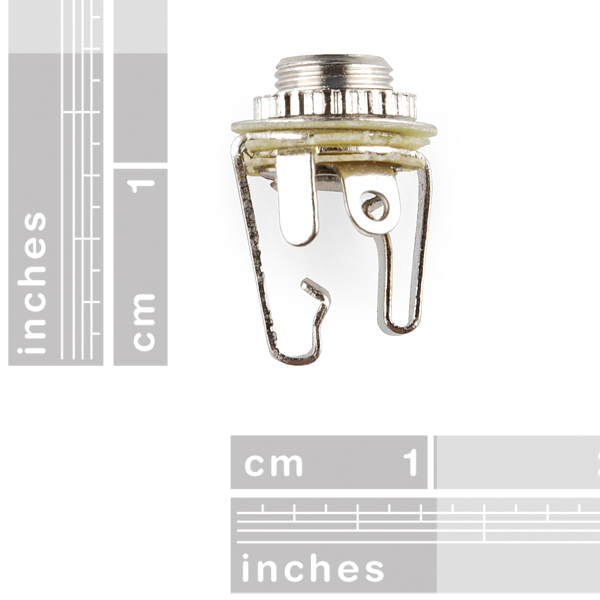 This is a standard 3.5mm stereo jack with no frills. Panel mount in a 6mm diameter hole for a nice clean headphone, microphone or serial data connection. What's the maximum recommended material thickness this can bolt into? The worst quality I have ever seen from SFE. It barely fits through a 1/16th inch panel, and the nut doesn't thread properly (you can over-tighten it to the point that it slips, with just your bare fingers). I am extremely disappointed, and strongly recommend against buying this. 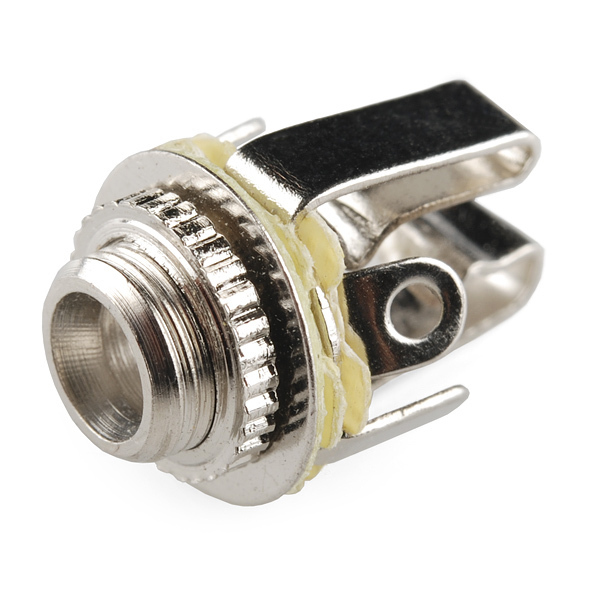 TS note: Measured threaded boss length is 3.16mm. Yeah, these are not great components. As below, the screws don't thread cleanly making for a sloppy fit. That said, they're ridiculously cheap, so I'm not sure I should have expected better. I would not recommend deeper than 2mm material thickness for these. I am removing my critical comment on this part as my problem was probably user error. this would word for a Picaxe programming port, right? Yes. It would be a very nice addition. I used these for an audio project, but one channel routinely loses contact with the jack, and I have to play with it to get both channels back. These could be okay for some applications, but they're too unreliable for me. I bought two of these. Contacts are bent on both of them and one has rust spots. I'm glad they were really inexpensive. I have already tossed them in the trash.